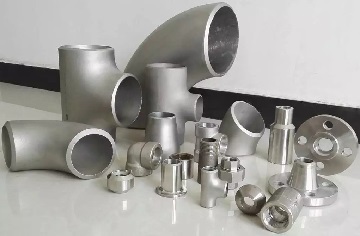 Metals-Piping has committed experience of manufacturing a variety of ASTM B366 Alloy 20 fittings including 90° & 45° elbows, tees, reducers, 180° bends, caps, crosses, lap-joint stub ends, plugs, bushings, street elbows, , etc. These fittings has the UNS designation of N08020 and can be used in many corrosive environments. Various ASTM B366 Alloy 20 fittings supplied by Metals-Piping. ASME B16.11 Alloy 20 forged fittings: threaded or socket welding. MSS SP 97 Alloy 20 branch outlets: weld outlets, threaded outlet, socket outlets. *The fittings can be either welded or seamless. *UNS N08020 fittings can be furnished in two classes: CR20CB: corrosion-resistant fittings; WP20CB: ASME pressure fittings. *The chemical composition & mechanical properties shall conform to corresponding material standard specifications in the table. Alloy 20 fittings shall be annealed at temperature 1700~1850°F [927~1010°C] and quenched at rapid air or water. See more technical specification for Alloy 20.